At Joe’s request, I made another jello video! 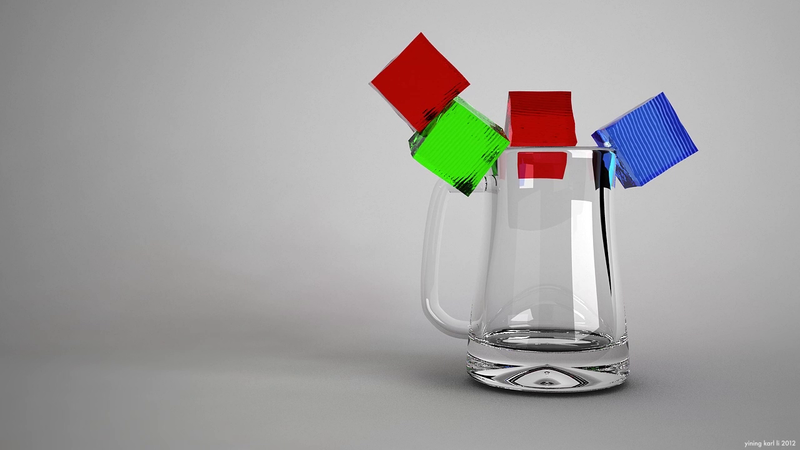 Joe suggested I make a video that shows the simulation both in the actual simulator’s GL view, and rendered out from Maya, so this video does just that. 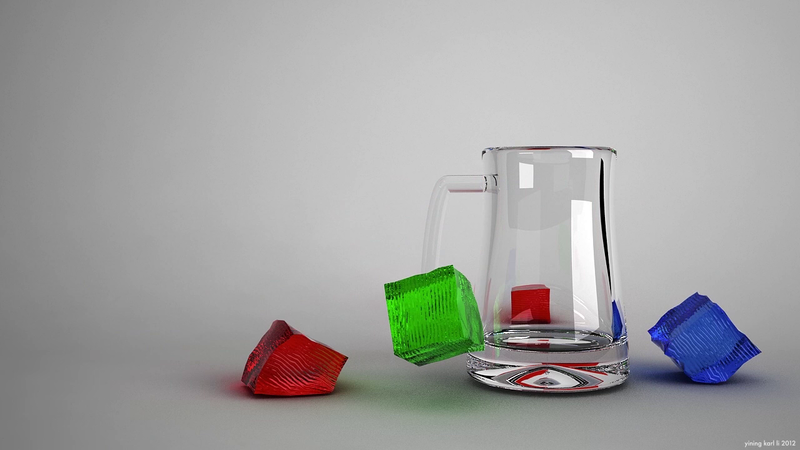 The starting portion of the video shows what the simulation looks like in the simulator GL view, and then shifts to the final render (done with Vray, my pathtracer still is not ready yet!). 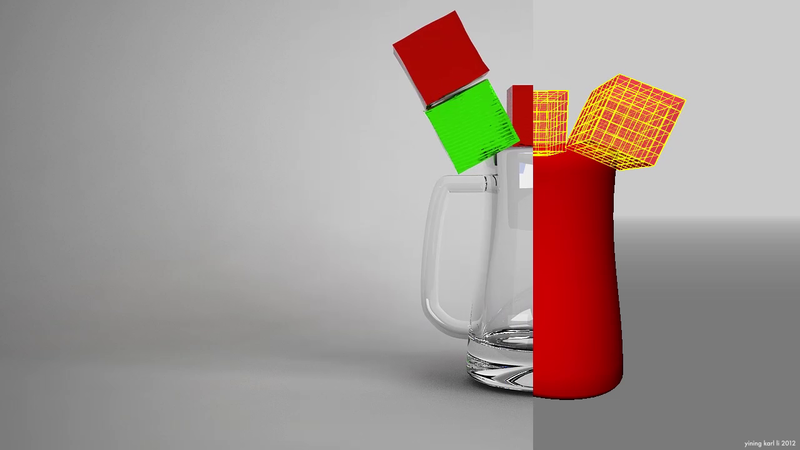 The GL and final render views don’t quite line up with each other perfectly, but its close enough that you get the idea. There is a slight change in the tech involved too- I’ve upgraded my jello simulator’s spring array so that simulations should be more stable now. 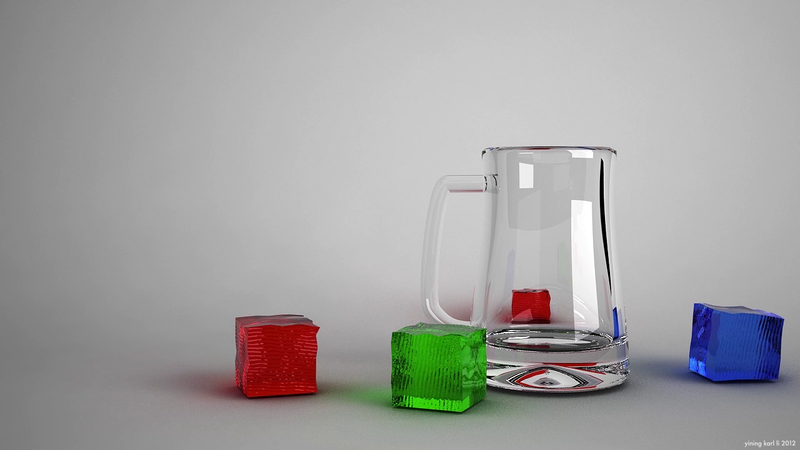 The change isn’t terribly dramatic; all I did was add in more bend and shear springs in my simulation, so jello cubes now “try” harder to return to a perfect cube shape. 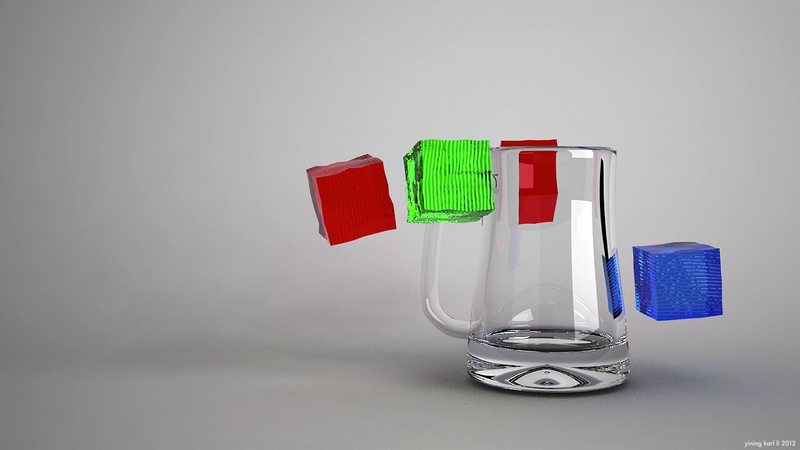 This video is making use of my Vray white-backdrop studio setup! 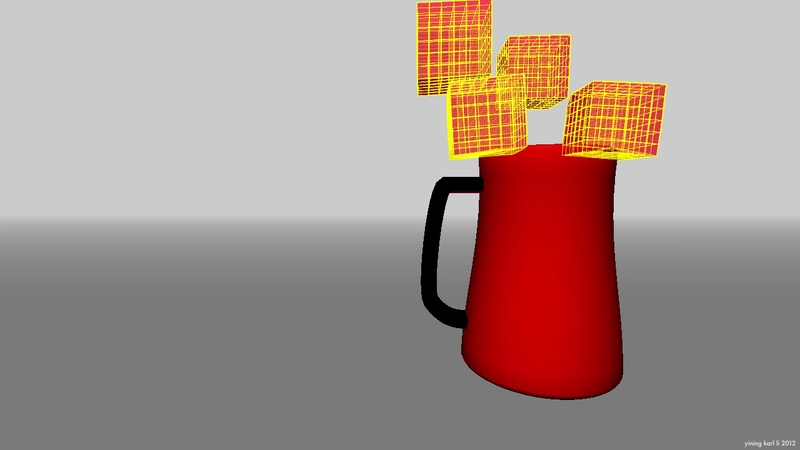 The pitcher was just a quick 5 minute model, nothing terribly interesting there.